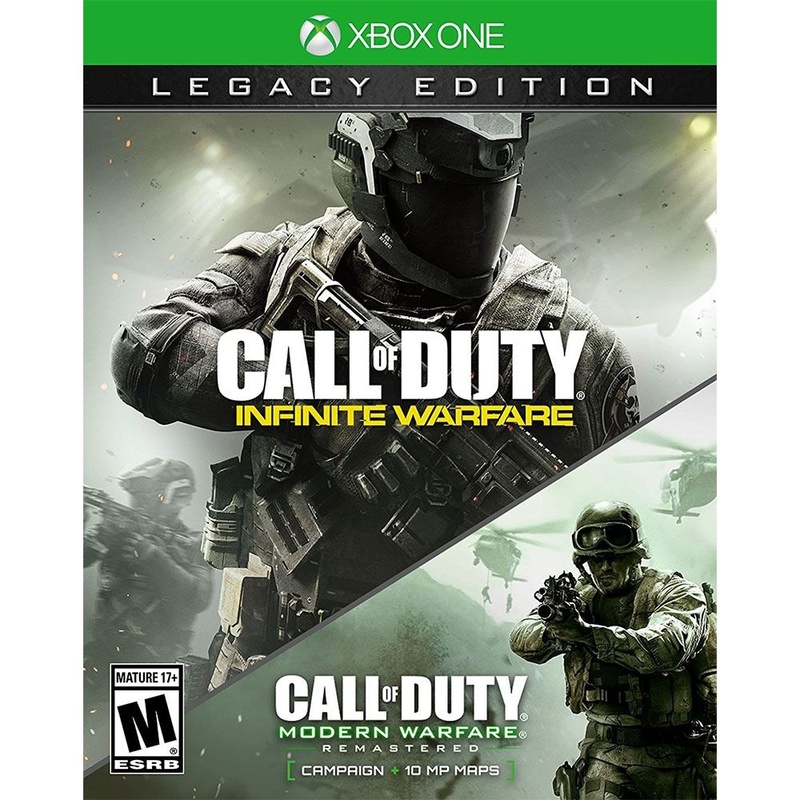 Call of Duty: Infinite Warfare Legacy Edition Video Game for Xbox One. Released 2016 Rated M for Mature. - Infinity Ward reaches new heights with Call of Duty: Infinite Warfare, which returns to the roots of the franchise with large-scale war, epic battles, and cinematic, immersive military storytelling and takes players on a journey from Earth to beyond our atmosphere. - Call of Duty: Infinite Warfare delivers something for every Call of Duty fan with three unique game modes: Campaign, Multiplayer, and Zombies. - Call of Duty 4: Modern Warfare is back, remastered in true high-definition featuring improved textures, physically based rendering, high-dynamic range lighting and much more to bring a new generation experience to fans. - Team up with your friends with 10 of the iconic multiplayer maps from the online multiplayer mode that redefined Call of Duty introducing killstreaks, XP, Prestige and more in customizable, classic multiplayer modes.